Jeffrey Maloney is supported by local APA elected officials. 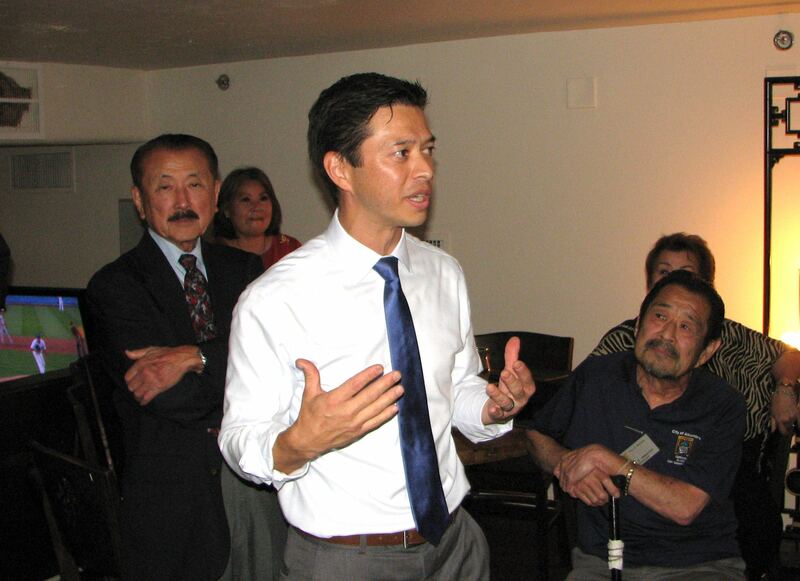 Jeffrey Maloney addresses his supporters, including former Assemblymember George Nakano (left) of Torrance and Alhambra City Councilmember Gary Yamauchi (right). Jeffrey Koji Maloney, a candidate for Alhambra City Council, launched his campaign with a reception on June 22 at Little Tokyo’s Far Bar. Maloney, a graduate of UC San Diego and USC’s Gould School of Law, serves as chief staff counsel for the Santa Monica Mountains Conservancy. 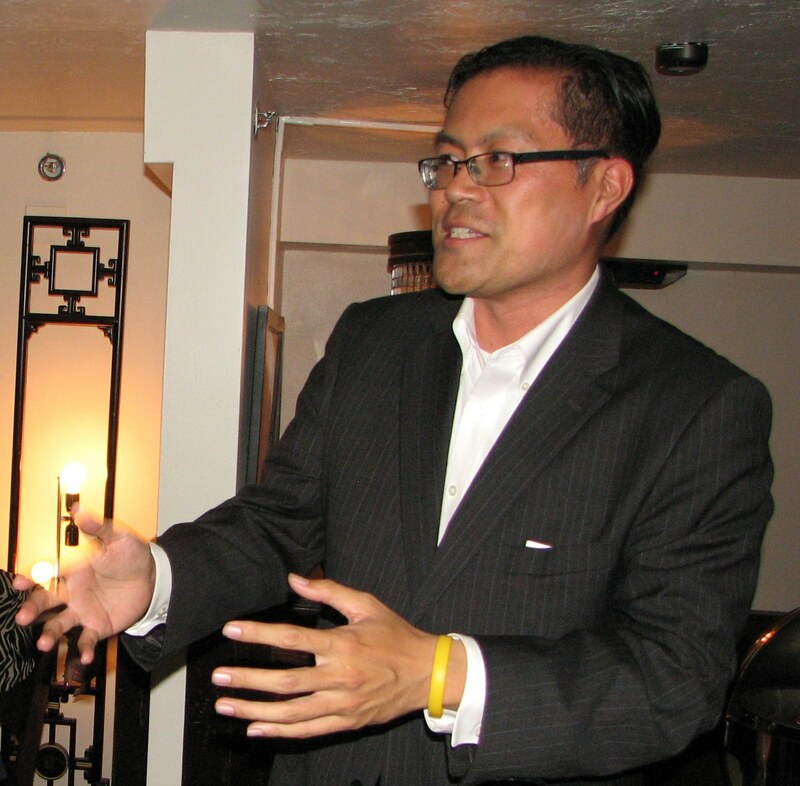 He is a member of the Board of Governors of the Japanese American Bar Association and the Board of Directors of the Go For Broke National Education Center. Los Angeles Community College District Trustee Mike Fong. Elected officials who came to show their support included Mike Fong, Los Angeles Community College District Board of Trustees; James Toma, mayor of West Covina; Henry Lo, Garvey School District Board of Education; Gary Yamauchi, Alhambra City Council; and George Nakano, former assemblymember. Nakano, who served in the Assembly from 1998 to 2004, noted that Maloney was a member of his staff and has gained much political experience since then. He cited Maloney’s work as vice president of the Alhambra Planning Commission and as chair of the city’s Special Olympics Committee, and added that he knows the candidate’s family well. Fong, who noted that “it takes a lot of energy and a lot of work” to get elected, said that the reception marks “the first step in this journey” and will be followed by many more events. 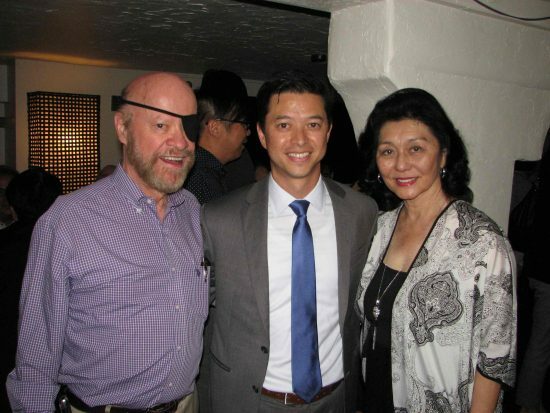 Jeffrey Maloney with his parents, Michael and Janet Chikami Maloney. At least one other person is seeking the council seat, but Maloney said that may be better for his campaign because “I’m too much of a competitive person” to run unopposed.